Product prices and availability are accurate as of 2019-04-04 23:15:08 EDT and are subject to change. Any price and availability information displayed on http://www.amazon.com/ at the time of purchase will apply to the purchase of this product. 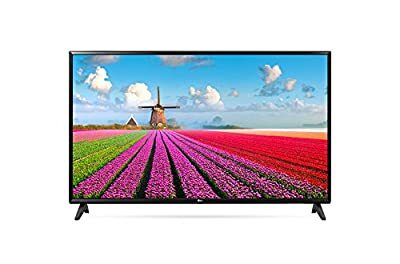 With high Resolution that doubles the picture Definition of HD TVs, Full HD 1080p displays richer color and detail for the pinnacle of picture quality for a more enjoyable viewing experience 1920x1080p Full HD Resolution, 100Hz, 2x HDMI input, 1x USB input, component/Composite, built in Wi-Fi, digital audio output, 110-240 Volt for Worldwide use, Multi system (PAL/NTSC) HDMI is a modern interface standard that allows a variety of audio and video signals to be transmitted over a single cable connecting your LG Full HD TV to other devices Simply insert a USB Stick or external hard drive containing videos, photos and music into the USB port to play and view the files Virtual Surround Plus distinctively improves sound directionality for an immersive listening experience. The sound performance makes you feel as if you are at a concert or recording studio.